Wow Daniela!! Thank you so much for posting all these wonderful videos of our guys singing the songs that we all fell in love with and of course them. It seems no matter where they sing or who the audience is they just draw you into their world of music. How appropriate that the evening in Rome was called Dream Night. We all dream of their next concert in the states. After their performance at Dream Night, I am sure that they now have many more new followers! Annette, I too found the title of the evening very appropriate: Dream Night, I think the audience really has a dream. I’m also sure you’re all dreaming of the concert coming! Again thanks Daniela for keeping us informed. I love the boys being busy at different events but it makes me mad at the audiences at some of the private parties. The people seem to talk and not listen. The boys are singing out their hearts and deserve full attention. Gina, I can not stand talking during concerts, especially private events, but if you look closely at some videos, all people are busy filming with cell phones, so they were not at all distracted. Daniela, I’m speechless. This was like attending a concert. We are so indebted to you for getting us all the news about the boys. This is above and beyond anything we could have imagined. Thank you, thank you, thank you. We loved all of it. Victoria, it’s true, it was a real concert that the guys did for the Jeunesse event, these people were really lucky. The comments of the people present are very enthusiastic about the beautiful evening. I’m glad you liked the videos. Thanks Ineke, I’m very glad you enjoyed it. The boys never disappoint and we, good fans, we always like them all !! Thank you Daniela for all these videos. 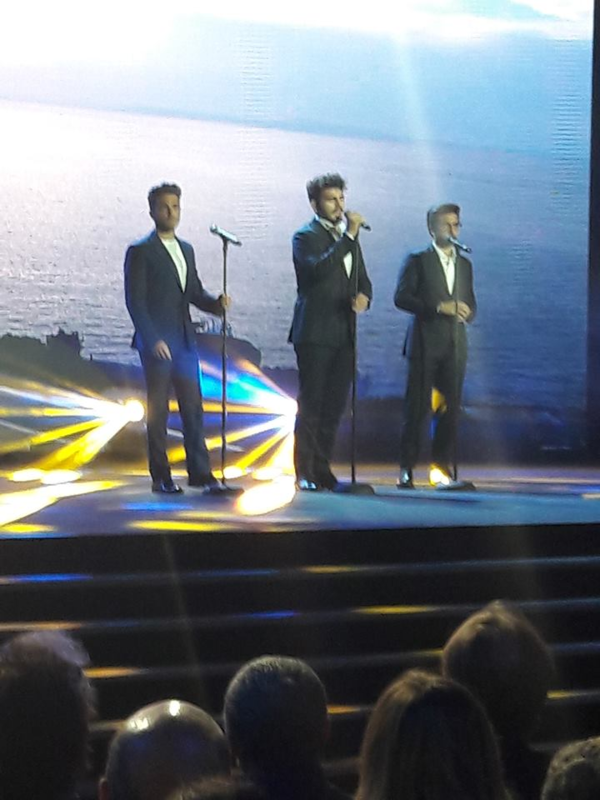 Piero, Ignazio and Gianluca sounded wonderful as usual and makes me miss seeing them even more! I think anyone seeing them perform has to love them! I may be wrong, but I assume they want to release their new music before they schedule concerts in the US. It wouldn’t matter to me since I love all their songs! Thanks Daniela, it was like having my own private concert. Did you notice when the guys sang “Surrender” that Ignazio could hardly keep still? He did do his “Jump” but they were a little more subdued than they would have been with us. 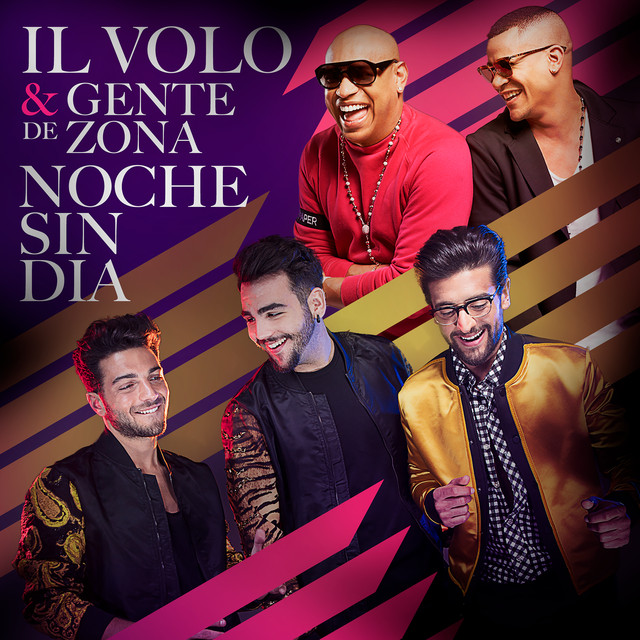 The other night I was looking to watch something on tv, and I came across a Spanish speaking station that had Il Volo as guests. I only know a few words in Spanish, but it was easy to see the format of the show. and told them something that had happened to one of the guys, and the contestants had to guess which guy it happed to. Neither of the girls got the answer right, but the man did, and won some cash. The funny part was Gianluca was wearing a pair of pants that were to short for him. While he was sitting on the stool, his pants went up above the top of his socks. He kept standing up and was trying to pull them down, but when he sat down again the same thing would happen🙂 This show must have been fairly recent as their facial hair and hairstyles are the same as they are now. Hi Jill, you saw the interview with the guys from Don Francisco, all in Spanish. I have already translated all this for you and I believe it will be published on Monday. It’s a very funny interview and so you’re on this site on Monday and you’ll have a lot of fun with an irresistible Ignazio for sympathy. I must tell you that Gianluca’s trousers are very short, but because fashion is like that, sometimes there are men who are ridiculous, because fashion says not to wear socks and extra pants arrive well above the ankle. Even Gianluca did not wear socks, but an ankle boot, now here almost all the trendy guys do not wear socks, even under a suit. Sometimes fashion is riicole, but the guys, Gianluca in particular, like to be fashionable, the problem is that certain things that are fashionable here, maybe they are not elsewhere! to play. I wanted to see the standing ovation too. Did anyone else have this problem? ? around Gianluca’s neck. He may have shed a tear too. Gale, I’m glad you could see the standing ovation. I think Gianluca was also excited when he received the gift. At the same time, it appeared that a security person was escorting the man with the garland down off the stage-perhaps in case he meant Gian any harm. I wasn’t sure what he was placing around Gian’s shoulders. Or what it could possibly signify? Is this like handing a performer a rose at the end of a show? Thank you so much for the information you provide. I love knowing what the guys are doing, knowing of course they do have the right to private, personal time. I appreciate what you do! Thank you from America!! I, too, am bothered by people in the audience talking when the guys are performing…they work very hard and the audience should be respectful and courteous.